CRAPTASTIC: Five Feature Friday #6! Another week of rotations down! I never knew what fun personalities kids have. I have met some interesting characters!! I think my favorite patient this week was a four year old girl that came in for chronic sinus infections. Turns out she had stuffed a bunch of gauze up her nose! Hahaha! I couldn't stop laughing it was so funny! I've got some awesome features this week! I flipping LOVE this duvet cover from This Crazy, Blessed Life! I had been eyeballing the expensive version of this quilt off of Anthropologie, and I love this! Never A Dull Day made over this AWESOME nursery dresser! Yes, please! This makes me want a little one of my own! It's so cute! The lines of this side table from Paint In My Hair are amazing!! I love the style of this table! What a great makeover! This is such a cute and inexpensive hanging note board from Southern Whim! I love the simplicity of it! So pretty! 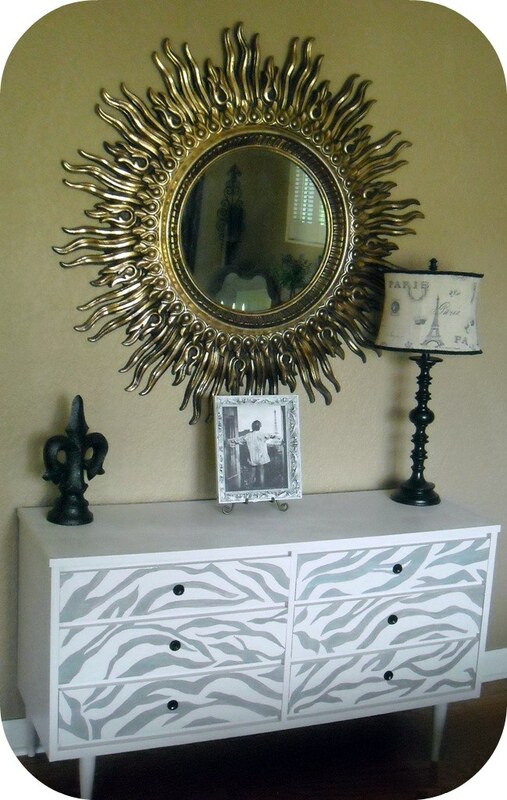 This zebra dresser from Tres Chere is awesome!! I love this dresser style, and the zebra print looks great on it! Keep your eye out for a project I have coming up with the same theme!! love your picks again! 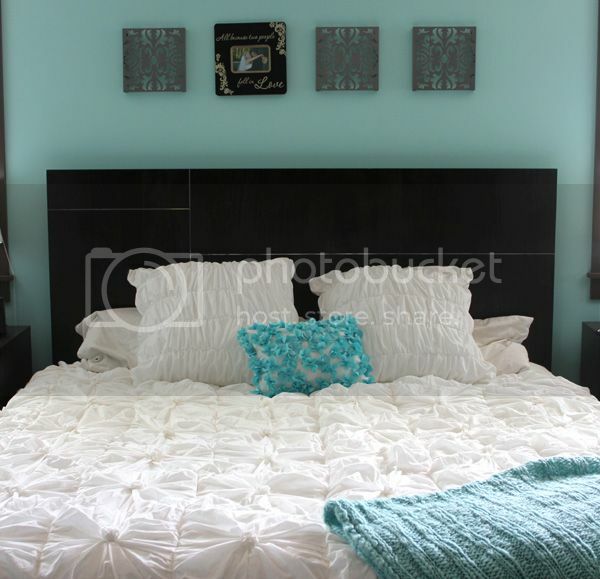 the owl dresser and the duvet rock, and i featured the zebra dresser, too, so you know i love it! Thanks so much for the feature!! I've been dying to attempt making one of those duvets!! I love the dresser but the mirror above it! Fab. 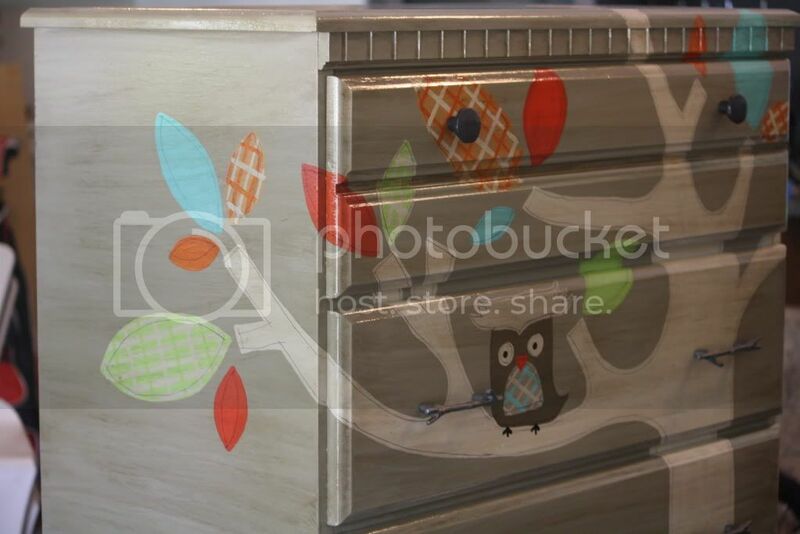 I love the owl dresser! Great picks and I am LOL about the little girl with the gauze. Kids do the craziest things! Loving the zebra dresser. I can't wait to see your similar project! Thank you so much for featuring our Zebra dresser! You are so sweet! Hope you have a fabulous weekend! Great picks, especially that owl dresser. So funny about the little girl and the gauze. You never know what kids will do!